Lead magnets can provide a steady source of income for your web-writing business in two ways — use them to build your own email list, and then offer the same service to clients. A lead magnet’s job is to entice someone to sign up for your email list, so you have permission to communicate with them over time. It’s part of a sequence of events that lead the reader to opt in to your list. In this webinar, Heather Robson, Wealthy Web Writer’s Managing Editor, shows us what we need to know so we feel confident about creating lead magnets, and also going after client projects to write them. You can review the entire webinar HERE. 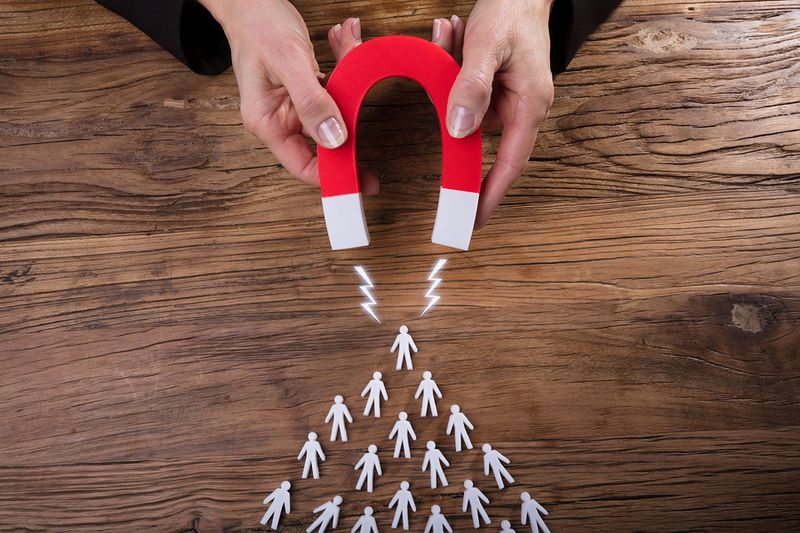 Which type of lead magnet you offer will depend on your (or your client’s) audience and goals. Special reports are perennially popular. They’re tried-and-true, Heather pointed out, and “still going strong even though they’ve been ‘done to death.’” In that respect they’re like email, which is definitely not dead despite occasional rumors to the contrary. If your market likes or needs to consume content quickly, an infographic can be more effective than a special report. It takes less time, and less work, to consume. Checklists, or any type of handout that includes an interactive element, are doing well right now. A free drawing can provide a strong incentive for sign-ups. Heather noted that she’s planning on using this in her own business, offering a chance to score a half-hour consulting session to a lucky new subscriber. Free trials are very popular and effective with SaaS (software as a service) products. BuzzSumo, for example, gives free access for seven days. These are perceived as high value, so a video tutorial or webinar can do very well. These are mini courses that you drip out, via email, over time. Offering access to a closed group is enticing. People who are willing to part with their email addresses then have the opportunity to come into an exclusive group, ask questions, and interact with others in similar industries or with similar goals. E-books are a valuable offering for an audience that likes to read. This is where it helps to really know your audience, though, because if your audience perceives reading as work, an e-book won’t convert well. Some formats are industry specific, like SaaS and free trials, or special reports for the health industry. Your goal is to position your bonus in the way that gets the best results, and choosing the right format is important. Susanna was dragged back, kicking and screaming, into freelancing after losing her job in the banking meltdown in March, '09. One 3-month stint in an appalling temp job persuaded her to get serious about establishing herself as web writer. In March, 2012, she moved to a small town in Panama with her husband and three small dogs. After enjoying the writer's life in the culture of "buenas" and "mañana" for 2-1/2 years, she's returned to the US. At least for now.